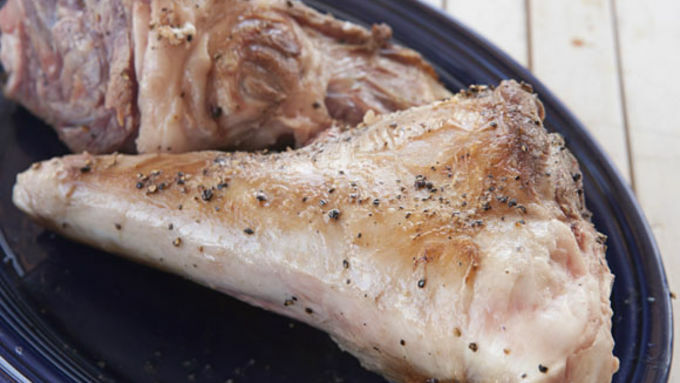 If your lamb shanks have a tough silver skin on the outer parts, use a paring knife to cut it off. Then drizzle lamb with olive oil and season well with salt and pepper. Place a large skillet over medium-high heat. Once hot, add lamb shanks and brown on all sides, about 3 minutes per side. 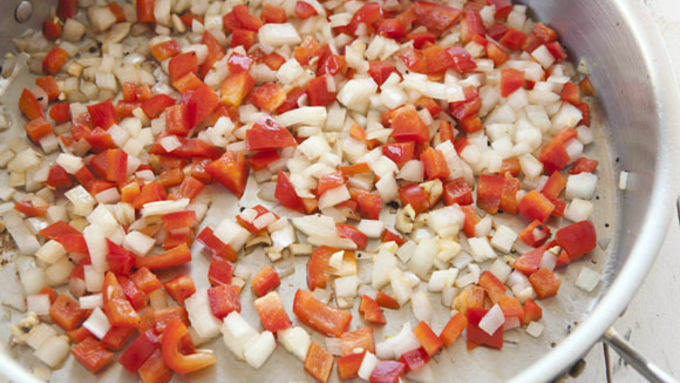 Remove lamb and add onions and peppers to the hot pan. Cook for a few minutes, stirring regularly. Try to scrape up any bits stuck to the pan. 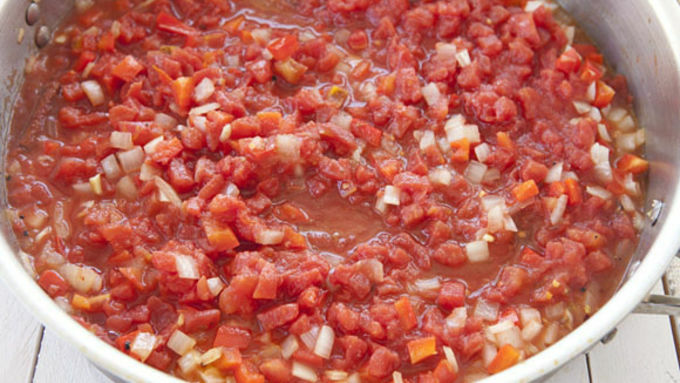 Add diced tomatoes, garlic, and spices to the pan. Continue to stir and scrape up any bits. Transfer lamb shanks, tomato mixture, and water to a slow cooker. Cook on high heat for 2-3 hours or low heat for 5-6 hours. While the shanks cook slowly, chop up a lemon and season it with salt and sugar. 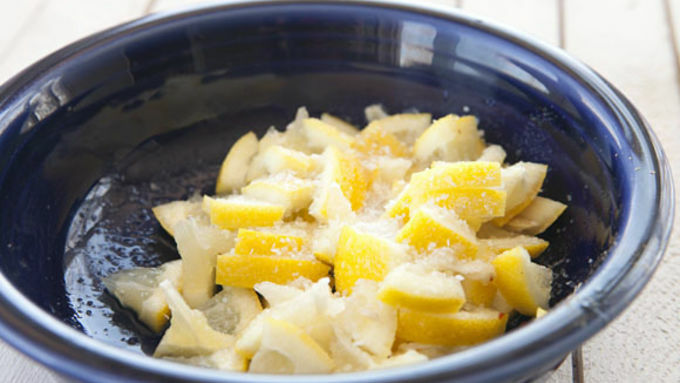 This is sort of a quick way to make preserved lemons. 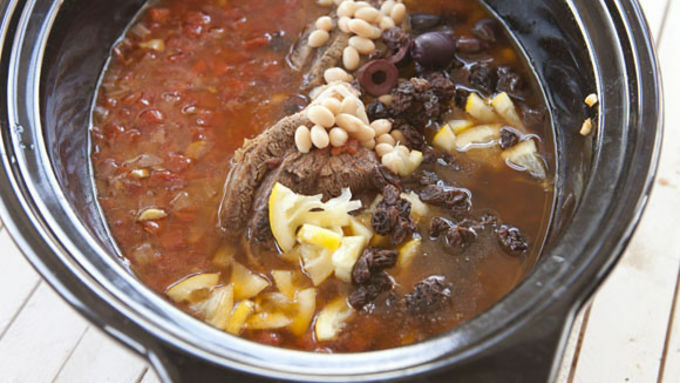 Add beans, olives, raisins, and 1/2 of the preserved lemons to the slow cooker. Stir together and continue to cook for another hour or two until lamb is very tender. 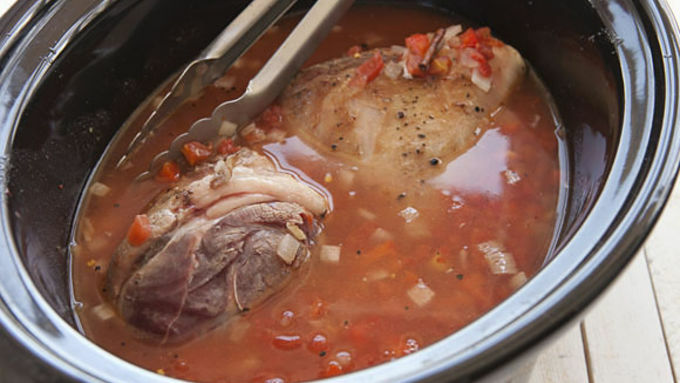 Keep lamb warm in slow cooker until you need to serve it. 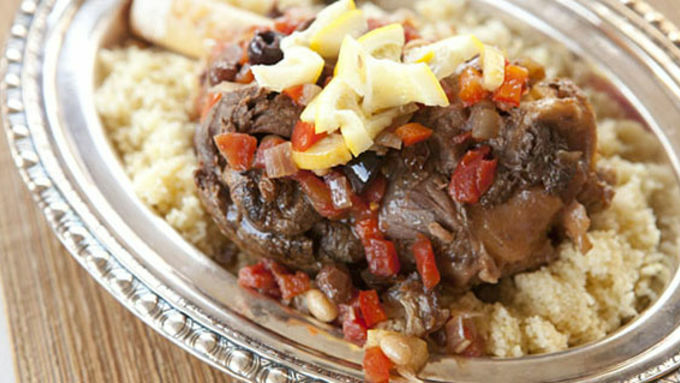 Serve lamb shanks over couscous or rice with extra preserved lemons on top. One lamb shank should feed two people. Lamb can be an intimidating thing to cook at home. First, it’s not very popular so there isn’t a ton of recipes using it...or instructions for how to not screw it up. It also can be pretty expensive so a lot of people choose to leave it to the pros. Let’s change that! This slow cooker Moroccan lamb shank recipe is really simple to make and should give you the confidence you need to make a great lamb dinner. 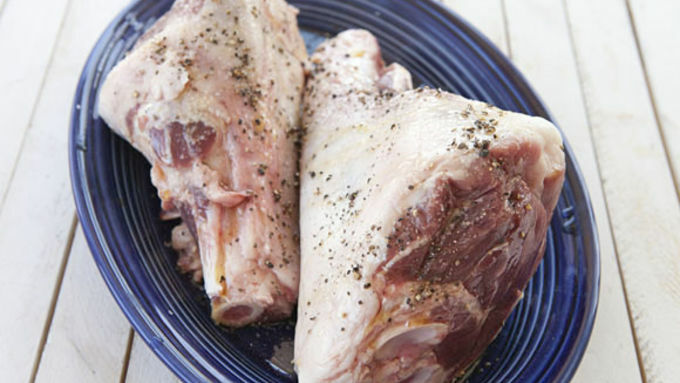 For starters, it’s important to pick the right cut of lamb for the dish you are making. Keep in mind that your selection of lamb might be limited, but at a minimum you should be able to find ground lamb, some sort of lamb chop, and some sort of lamb shank. You wouldn’t want to use the first two for this dish. They are better for high heat, grilled dishes. Lamb shanks, however, are perfect. They are large and have lots of connective tissue, which will break down as the meat cooks slowly. These lamb shanks might look really big, but they’ll shrink a bit as they cook. Each shank will definitely feed two people though! If lamb is new to you, find some shanks and make this dish! It’s almost impossible to mess up and is very impressive.